Matt Smith – Producer, Engineer, Recording, and Mixing. Passion and stellar musicianship united in Metal glory. 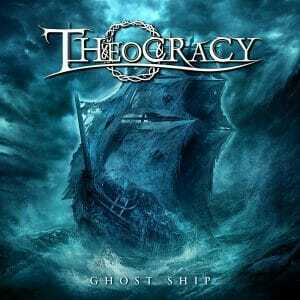 THEOCRACY is one of America’s best Metal bands. That they are also a Christian Metal group only adds to the unique charm. Their 2016 album ‘Ghost Ship‘ wraps luscious melodies, stunning vocals, and heavenly axework into another Power Prog masterpiece. I was eager to dive into this follow-up to 2011’s masterwork ‘As the World Bleeds’. After first listen, I was somewhat taken aback. Despite another tour de force performance this album has a complexity not as easily accessible. Thankfully, I gave it another spin. What I first heard as a disadvantage proved to be an accentuation. The added Prog intricacy offers more discovery, and with it, more personal gains. It may not grab as quick as ‘Bleeds’, but its hold intensifies with time. An exotic landscape that reveals beauty with each subsequent return. Leader/Vocalist Matt Smith’s passion (and perfectionism) overflows in every song. ‘Ghost Ship‘, however, is very much a band effort, putting even more dependence on these tremendous musicians. 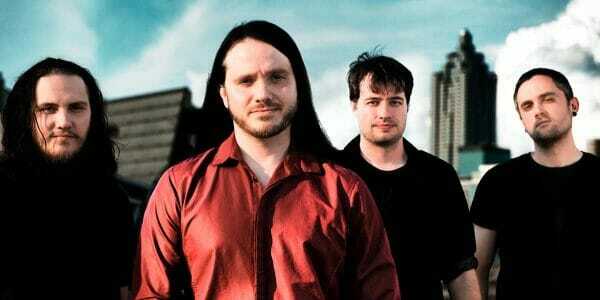 Back on board is Guitarists Val Allen Wood and Jonathan Hinds, Bassist Jared Oldham, and Drummer Shawn Benson. Taking bigger risks through a less commercial style pays dividends to the devoted. Ten tracks, 54 minutes. Plenty to love in every thoughtfully placed note and melodic flourish. Highlights include thunderous opener “Paper Tiger“, the optimistic Thrash of “The Wonder of It All“, and the rousing ear-worm revolution “Call to Arms“. Inspirational, awe-inspiring songs. Blending gut-wrenching ballad-esque melodies into full on Metal elevates “Currency in a Bankrupt World“, the haunting “Wishing Well“, a sweetly melancholic “Around the World and Back“, and reflective shredder “Castaway“. Closing the proceedings (once again) with ten-minute QUEEN-ified Prog epic, “Easter“. Rarely since SAVATAGE has Metal been this beautifully all-consuming. ‘Ghost Ship‘ is not an album for casual fans, it demands (and earns) your undivided attention. And regardless of how you view the world of Christian Metal, the devotion of Smith and this band comes pouring out every addictive, elaborate hook. Who says killer Heavy Metal must be “Devil music?” Surely not I.
Matt Smith’s vocal acrobatics and boil over passion. Layered, melodious complexity that unwraps further with each replay. “Paper Tiger”, “The Wonder of It All”, and “Call to Arms” rouse the soul. The glorious Power Prog of “Wishing Well”, “Around the World and Back”, and “Easter”. Not as immediate as many Power Metal albums.